Mama Husker Power: that’s Linda Ybarra. 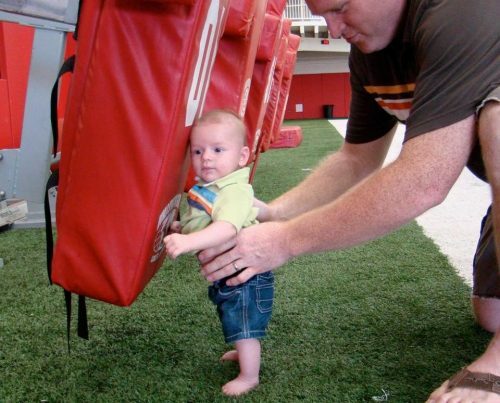 Though surrounded by alpha males in the confines of the West Stadium Strength Complex for the better part of twenty years, Linda ruled the roost and was a guardian of the gate to those passing through the doors of the monstrous strength training facility located under West Stadium’s bleacher seats. Keeping the staff’s young guns in check, coordinating the Husker Power Booster Club and just about everything else happening to take place on that end of the campus, she saw and heard everything. Big brown eyes and a friendly -yet at times stern- manner, you knew who was boss whenever seated at her massive, wrap-around desk facing the visitor’s nook and weight room entrance. I was interested in what she had to share. Linda Ybarra: It seems that way. 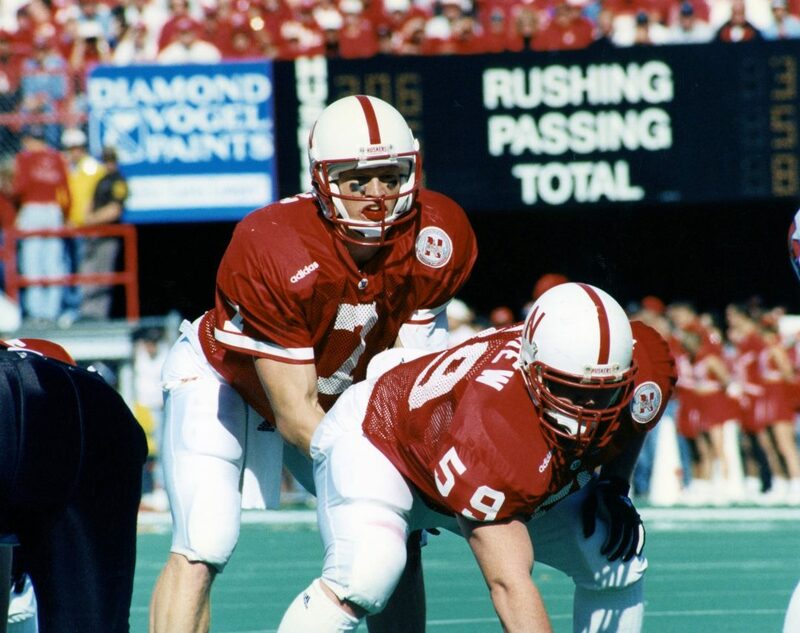 Q: You‘re now working with Randy Gobel, John Ingram & crew at Nebraska Facilities? LY: Well, Boyd was kind of overseeing everything at first, and then Steve Pederson came around and reorganized the whole department. They were going to initially put me in with Bob Burton in the business office but Boyd had a fit, saying, “There’s no way you’re going to take her away from me.” So he didn’t. But things changed when Steve came around -especially at the end of his time there it got kind of weird- he was really kind of a different type of person. He did some good things for athletics. He did. But he just picked up this one guy, and things seemed to go downhill after that. 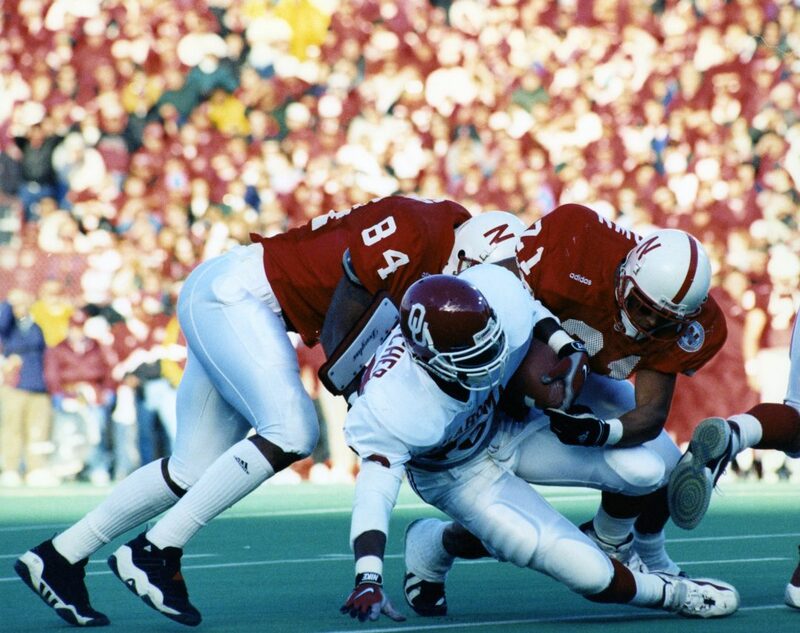 Q: When did you join Nebraska Athletics? LY: August of 1985. 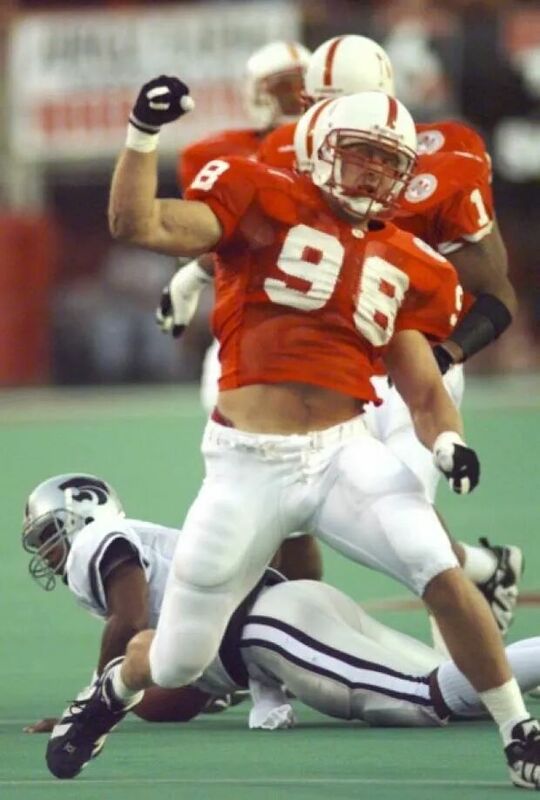 I started working for Boyd as the Office Manager for the strength and conditioning program and making the Husker Power Club better. We went from 500 to over one thousand members in the group, pretty much setting a standard for the booster clubs, and they were really able to help the program. Q: You say Boyd had a vision. Was that vision ever fully realized? Was it fully concluded? LY: Well, I think his legacy is this awesome program he created. He did have a vision, and he expected things to turn out the way he had planned. Unfortunately, some things didn’t work out that way. Q: I remember those meetings around ‘91 or ’92 where he was beginning to sketch out what the new North stadium complex would look like. This was, what, 12 years before it was finalized? Q: So you arrived in ‘85 and we went through that rough year in ‘90, finishing out of the top 20 for the first time in years. Do you remember that time? LY: That was a long time ago, Paul. I just know that when we had that many losses, things changed a bit. It was hard, hard work from that point on. I remember when I first started working for Boyd in ‘85 it was like: you had an in-season from August through the Football season, and then winter conditioning, and then summertime the athletes would go home and return in August. Well, because Boyd had this vision of how a program should be, things became year-round. There was no summer vacation: they’d go from winter conditioning to spring ball, and then they were encouraged to stay around and keep working over the summer to get better. That’s what I think turned the program around, he gave them the desire to get better. And those athletes, they realized that and worked that much harder. And when Charlie McBride was around those Blackshirts worked really hard and earned that name. Q: Do you recall any special people? LY: I remember coaches Charlie McBride and Milt Tenopir and Ron Brown, those guys were all good coaches. They had a good vision -not to discount our present day coaches- but those guys and so many athletes would pass by the front desk every day and you got to know them and they became part of a family. It was like I know Trev Alberts, and he’d pass by and you’d say hi. Q: I remember a lot of times walking through the front door of the old strength complex, Linda, and all I’d see were big old rear-ends in red gym shorts because they were always leaning through the reception window talking to you for a spell before exiting the weightroom. It was like you were a ‘Weight Room Mom’, a ‘Den Mother’-kind of thing. LY: A lot of former athletes walk in nowadays and they remember who you are. That’s what sets them apart and set us apart. We took the time to know them personally, and they realized it. We weren’t just interested in them because they were an athlete, but because they were a person. You know, there were so many guys from Chris Caliendo to Mike Murray, Kent Wells… all the wild guys. (laughs) Grant Wistrom and John Parrella. I really got close to John Parrella. He took the time to really get to know who you were. And he’d even come back in the offseason to say ‘Hi’, maybe not specifically to me, but he was friends with Mike Arthur and Randy Gobel and Boyd. So many of those guys would come back during the NFL offseason and they’d workout and say ‘Hi’. It meant a lot. And Grant Wistrom, his hair! (laughs) He did have a head of hair. They ended up shaving their heads, shaved it all off. Tom had always allowed former athletes to come back, and even if some had to come back to finish their degree, he let them do that. The athletes just loved him. Q: Any good Coach Osborne stories? LY: When I first started working there I noticed that people would call him ‘Coach’, and one day I just happened to be in the football office -and I’d always called him ‘Tom.’ I never called him ‘Coach’, and somebody asked me one time, “Why are you calling him ‘Tom’?”, and I said, ‘Well, that’s his name. Why would I call him ‘Coach’?’ (laughs) And I’ve always called him Tom, but some people thought that was disrespectful, and I’ve never ever changed. Even with him being Athletic Director, I still called him Tom. Q: Did he ever bring up the topic with your calling him by his first name? LY: No. Every time I’d see him he’d always take the time to ask how you were doing, and he was very interested in how you were doing. He’d always take the time with you and have a conversation with you. He was never too busy to do that. Q: What stands out about those championship years? LY: I remember when we won the National Championship in Tempe, when Tommie ran down the sidelines with the football and scored at the end. I remember that one. That was great one. And of course in Miami when Cory Schlesinger rolled into the end zone. And I think what set us apart was our team was so dominant in the 4th quarter. I think that’s what Boyd’s legacy was. We’d train our athletes to be dominant in the 4th quarter. And that earned us a lot of respect. Q: I’ve gotta ask you Linda. Were you around the day that Coach Osborne blew a gasket about the rap music playing on the weight room‘s overhead speakers? LY: Oh, yes. He didn’t like that. He did not like rap. Especially when rap first came out, there was a lot of vulgarity in the rap, and that was one of the things that he did not accept. Q: I heard he walked into the weight room, heard the music’s lyrics and then walked straight back into the Strength office and exclaimed, “Judas’ Priest, Boyd! Do you hear that? !” From that day forward I believe rap was off the playlist. (laughs) And I believe previous to that, because of the Unity Council, various groups of players petitioned for their favorite types of music to be playing on the weightroom’s sound system specific days. ’Equal time’, so to speak. Do you remember that? There was country music one day, classic rock another day, rap another, and so on. But much to a segment of the team’s chagrin, rap music was no longer in the rotation after that. Q: Anything else about those years that stands out to you? LY: Well, I remember all the staff working so hard together in late December loading up the semi-trailer with all the weights to take down to those bowl games. You guys would spend all day tearing apart the weight room and placing it into the semi-trailer, and then Randy Gobel even got his commercial driver’s license so he could help take the weights down to Miami and Arizona and such for all of those bowl trips. So whenever we’d go to the bowl trip, we’d go set up our own weight room down there. Either Randy or Boyd would set up a location to rebuild our weight room so the players would have the familiarity with their same equipment they were used to using, so it felt like their home weight room. Q: Another little thing that made a great difference to the players, yes? LY: Yes. So many people put a lot of hours in: from the trainers to you strength coaches, to Dave Ellis and nutrition. And we’d have the Open Houses on game day for some people to come in and see what we were all about, and I know a lot of people tried to copy what we were doing. Also, we had so many boosters who contributed to the Husker Power Club, and that gave rise to a lot of other support groups sprouting up for various causes and programs within the athletic department, almost too many to mention. Q: Is the Husker Power Club alive to this day? LY: It’s still going on. They’ve combined it into the Husker Athletic Fund, and I believe in some respect it’s still alive today. Q: Anything else worth mentioning about those years, Linda? LY: We’ll, if you recall, Boyd was the one that started the strength program ever since he got out of college. But the facilities have always stood out to me. We started with the West Stadium, then we moved our office out into a trailer in the parking lot outside the Baseball offices when we made it even bigger in the early 90’s. (And one time a student was backing out of their parking stall and they backed into the trailer! (laughs) That was a nice surprise.) There were so many people, just like a family. Like you, for instance. We became just like family, with Kelvin Clark and Jon Jost and so many guys. When you became part of the strength staff and spent so much time together we became just like family. I believe Kelvin (Clark) is down in Dallas now and I know Jon (Jost) was down at Florida State. And John Archer was at Nevada, but he’s down in Houston now. Kevin Coleman and Courtney are married now. Curt Thompson… married with triplets! LY: You can never have enough grandkids. (laughs) I have five of my own. Q: I remember some parties you and your husband Angel would have. What were those about again? LY: They were Mexican food parties: Tacos, enchiladas, margaritas and Coronas. I remember a few times when you, Bryan Bailey, and Arturo Garcia were still in my yard at one in the morning. Q: That’s all off the record, Linda. Off the record. (laughs) And do you still keep in touch with former assistant Arturo? LY: It doesn’t surprise me. (laughs) You guys worked hard and then blew off some steam now and then. For Boyd it was golf, and Bryan (Bailey) was always working out. But Boyd, I must say, was instrumental in presenting a vision and making it come alive for people. To the point to where it is now. And Frank Solich? I liked Frank. I thought he was a good coach. All those coaches who worked with Tom those years were just great guys. You’d get to know them on a one-on-one basis. They were good guys. And when you had leadership within the coaches, you had leadership among the athletes. LY: Well, I think we had an awesome staff in those years. We had you of course, and Randy (Gobel) -who I still work with- and then Boyd and Mike Arthur and Bryan Bailey. I’ve seen some coaches come and go, but you guys were very good at teaching technique, at teaching a vision of where you’d want to go and how a strength program should be run, and I think that says a lot. And the next time when you come up to Lincoln, bring your parents by. I haven’t seen them in a while. It would be nice to say ‘Hi’ to them. Linda mentioned those cold, Saturday winter mornings between Finals Week and Christmas Break when the Husker Power staff would gather to disassemble 3/4 of the weightroom, packing everything into a loaner semi-trailer for a cross-country trek down to the bowl site where a miniature version of the same weight room would magically appear for the pre-game strength maintenance of the players. These seemingly small and inconsequential attempts at player comfort and familiarity were a prime example of Boyd & the crew’s attempt at leaving no stone unturned in pursuit of bowl victory. Don’t for once think the players didn’t take notice.